Avid fishermen will travel far and wide to find the perfect catch. That’s why portability and convenience is always a big consideration while choosing a fishing kit. It may look good and sound powerful on the catalogue, but if it’s heavy and clunky, you won’t be able to bring it with you when you travel. 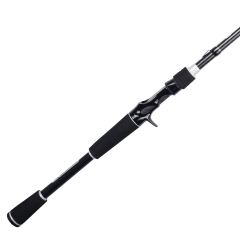 The Okuma Voyager Spinning Travel Kit is one of the best fishing rods for its price range. It is designed to combine both power with convenience. You can bring it along to a camping and hiking trip, and carry it into a small boat without sacrificing a lot of legroom. 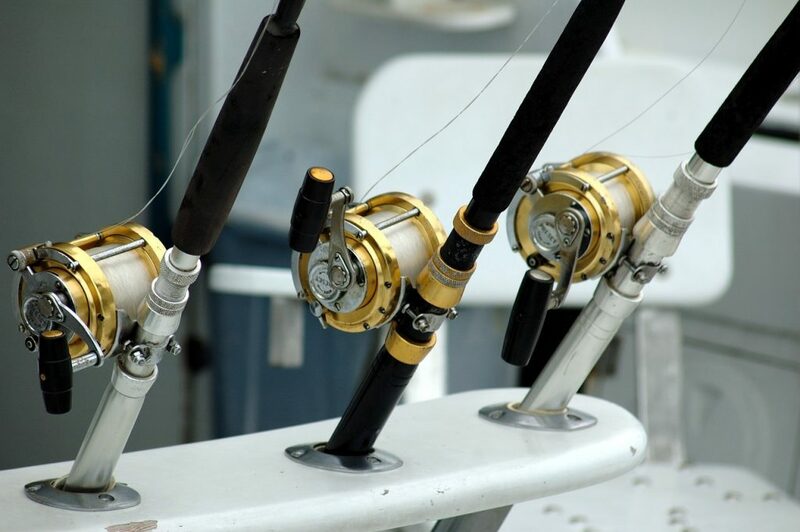 The Okuma company has decades of experience in making fishing tackles. It focused on understanding what fishermen need, and then developed kits that would address their main concerns. That is why a lot of thought is put into the material and technology of its fishing accessories. 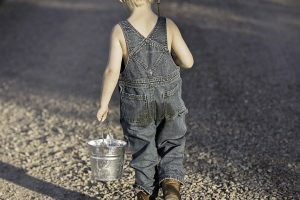 Fishing is a science that considers many factors such as weight, durability, fishing conditions, the behavior of the fish and the needs of the fishermen. Okama tries to understand these needs and create specialized but convenient fishing kits that can help both weekend warriors and tournament pros to go after The Big Fish. The Okuma VS-605-20 Voyager Spinning Travel Kit is one of their most popular products. 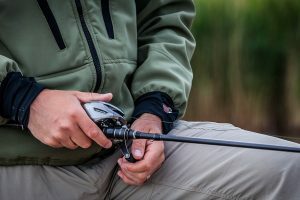 The Okuma Voyager Travel Kit is a complete fishing kit that includes a six-foot graphite composite rod, a cork grip that fits comfortably in your hand, high-quality ceramic guides, and very durable reel seats, ball bearing system, and spools. These fold up onto a carrying case that is completely customized to hold all of the individual accessories. Fishermen will be pleased to find a very strong six-foot rod and 20 size real. All the parts are quite durable: ceramic guides, stainless steel hooded real seats, brass pinion gear that have been precisely machine cut. The rod has been engineered to have an efficient ball bearing drive system and to balance both flexibility and durability. It is convenient and easy to assemble. Within minutes you will be able to attach the reel to the pole. The real seat comes with a threaded collar, and is screwed securely so the parts not just lock into place, but stay there once you’re caught in the action. Even avid fishermen with high standards are pleasantly surprised by the quality of the materials given the price range. The rod is balanced and is engineered to make it easy to cast. The reel feels smooth while you reel your catch in. It also has great sensitivity, and enough drag to handle different kinds of fish. It is especially effective for fishing in lakes and streams. Many fishermen have had great success in catching bass and catfish. As a whole, it is a good setup for light to medium fresh water fishing. It is so well designed that it can satisfy both a serious fisherman and a beginner. Buyers have given the Okuma Voyager Spinning Travel Kit to their kids or as a gift to friends and seen for themselves how easy it was for a new angler to get the hang of using the rod. With a $40.99 price tag it is quite affordable and gives excellent value for money. Some fishermen find that the spool on the reel is small and unable to handle heavy lines. The anti-reverse is made of plastic. 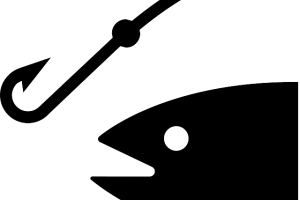 It break down while catching a very large and feisty fish or over wear and tear. It is not set up for catching saltwater or very large fish. This is better for fresh water fish or smaller to medium sized sea fish. 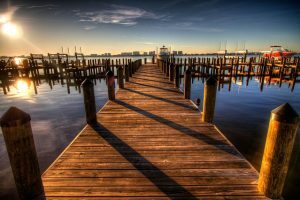 While this is not a deal breaker if you mostly go to lakes and ponds, you may need to bring other accessories if you plan to head out and catch sea fish. It does not come with as many accessories as other fishing kits. This is understandable considering the quality of the items, but it does mean that you have limited options and will not find the versatility that other fishing kits can provide. 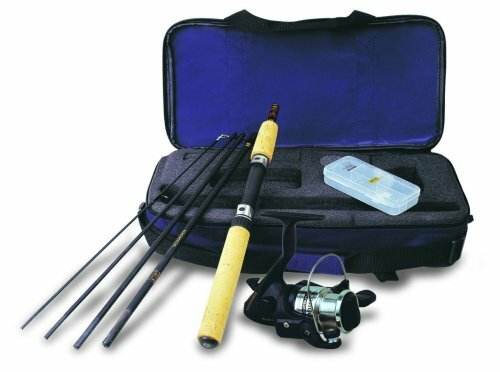 The Okuma Voyager Spinning Travel Kit is a quality fishing kit that is convenient to carry. It may not have as many accessories as other kits, but it is well designed and durable. It is suitable both for beginners or more serious fishermen who are looking for a convenient, compact fishing rod. This makes it one of the best fishing rods for the price range.